Professional photographer, writting for fun! With the Swan River and Perth skyline as a backdrop, South Perth Foreshore is a popular place for visitor and locals. The park starts from one end of Mill Point Road, near the Swan Bridge, and stretches along the river up to Coode Street, which is off Mill Point Road. There are many things to see and do in every part of the foreshore. There are also a number of facilities for people to use, such as cycling paths, walking paths through gardens and trees, picnic areas and many free barbecues. 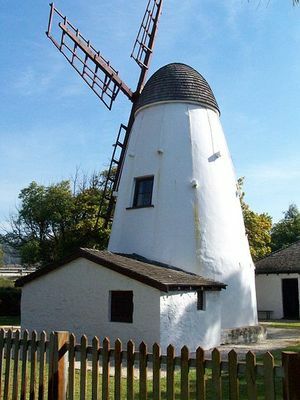 The Old Mill: Located not far from the Swan Bridge, this old mill is a historical site. There's not much to visit but it is a cute old mill and has a pretty interesting story. The Boatshed Cafe and Restaurant: This is a nice quiet place to have lunch or dinner while enjoying the view of the river and the city. They also do take away coffee for those who prefer morning coffee, outdoors in the park. There is also a little jetty in front of the restaurant, where you can enjoy an amazing sunset with incredible night views. The other side of the restaurant has the toilet facilities. You can also rent out surf cats from the boathouse, to use on the river. The restaurant is located in Sir James Mitchell Park on the opposite side of the old mill. This park is often a venue for concerts and other events, such as the Summadayze festival. Playgrounds: For families with children, there are playgrounds with lots of slides and swings for them to have fun. Plus there are shaded areas for the parents and toddlers. Most of the time I go with friends for a barbecue or picnic on the nice green grass, or I go for a walk with my dog. Dogs are allowed on a leash but everyone usually let's them go, unless the dog is not nice to others. I think it's a pretty park and the walk is very nice on a cool summer night. South Perth Foreshore has the perfect panoramic view of the city. It was just great for Australia Day. For those who live in the city, you can catch the ferry from Barrack Jetty, on Barrack Street, to Mend Street Jetty in South Perth. It is a very pleasant trip across the Swan River, and a great way to get to South Perth if you don't feel like driving. Otherwise, the foreshore is accessible on Coode Street, just off Mill Point Road. And there are a lots of parking spots for those prefer driving there. This takes you to Sir James Mitchell Park. Why? South Perth Foreshore has the perfect panoramic view of the city. Good review though I was stumped for a moment when you called The Narrows Bridge the 'Swan Bridge'. I've never heard it called that before!